As you are well aware by now, I love me a good classic rainbow wardrobe. Add fros to that and now we are talking! British-based designer, Ashish, totally brought his rainbow game for the Fall 2016 RTW show for London Fashion Week. I couldn’t help put assemble it in a true Dress The Rainbow collage. 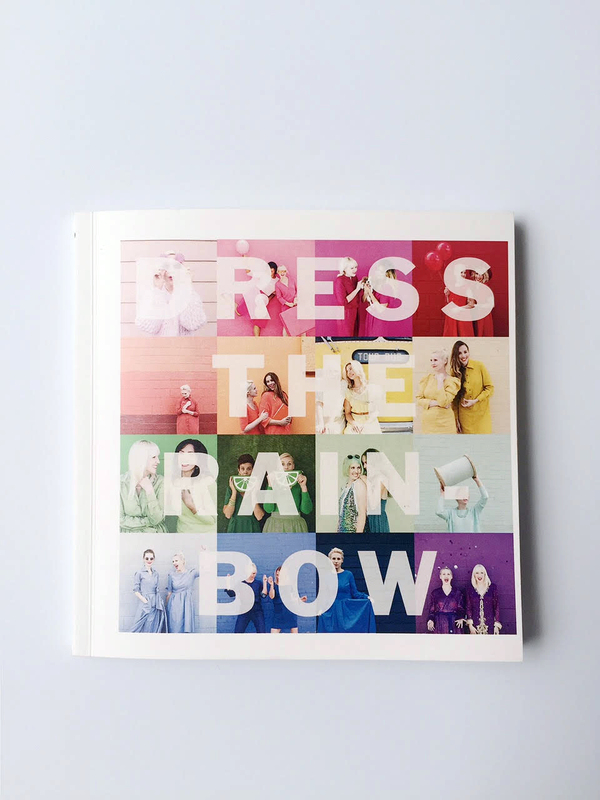 I’m sure you’ve all been wondering how you can get your paws on Dress the Rainbow in printed form–because I know you all want pictures of me on your coffee table (cough, cough)….Well, wonder no more! It’s here! 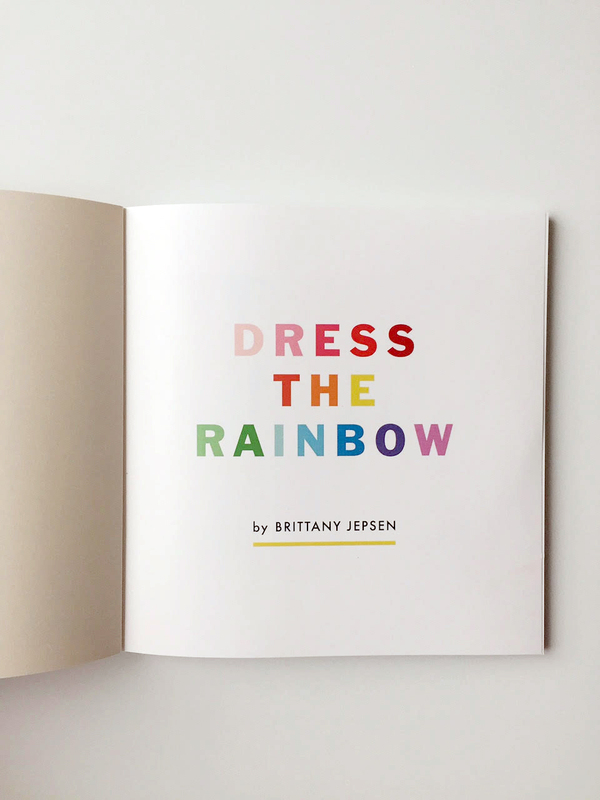 I partnered up with Chatbooks to bring you the official Dress the Rainbow book. 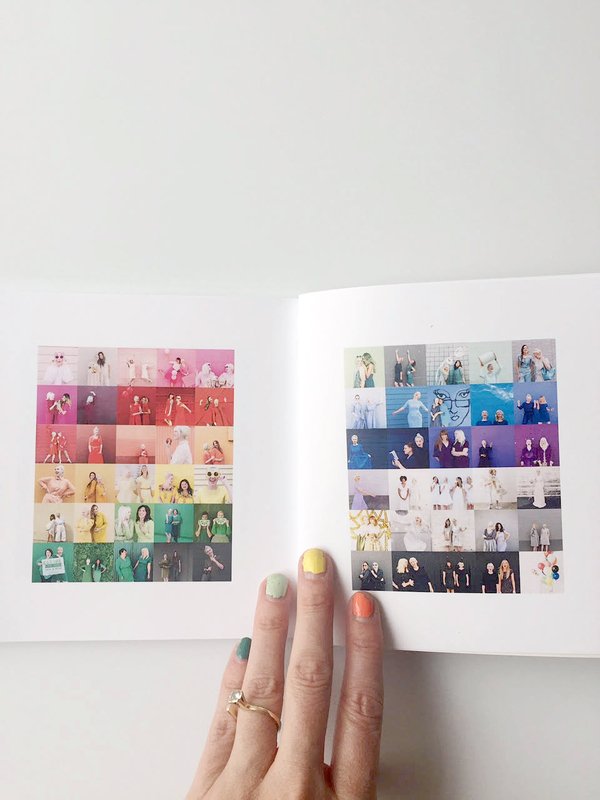 It’s a cute 6×6″ 75 pagephotobook of the full 60 day project along with the photos arranged in fun rainbow grids. 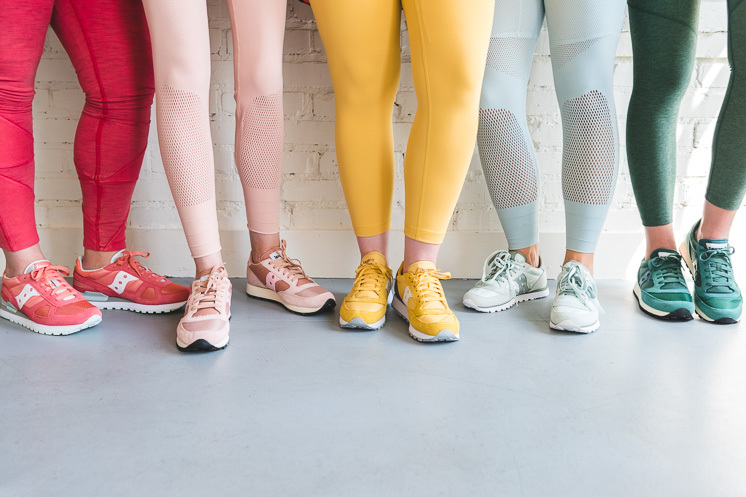 As you might know by now, Dress the Rainbow started out as a color project wearing a solid color against the same colored background. It turned into a more meaningful project when I asked my creative and inspiring friends to join in with me, each bringing along their own stories and perspectives. To see the full Instagram project, check the collective hash tag here, where I invited all of you to join in too, and my own photos here. I’ve decided to give 20% of the proceeds from the book to support the Syrian migrant crisis through the Red Cross. 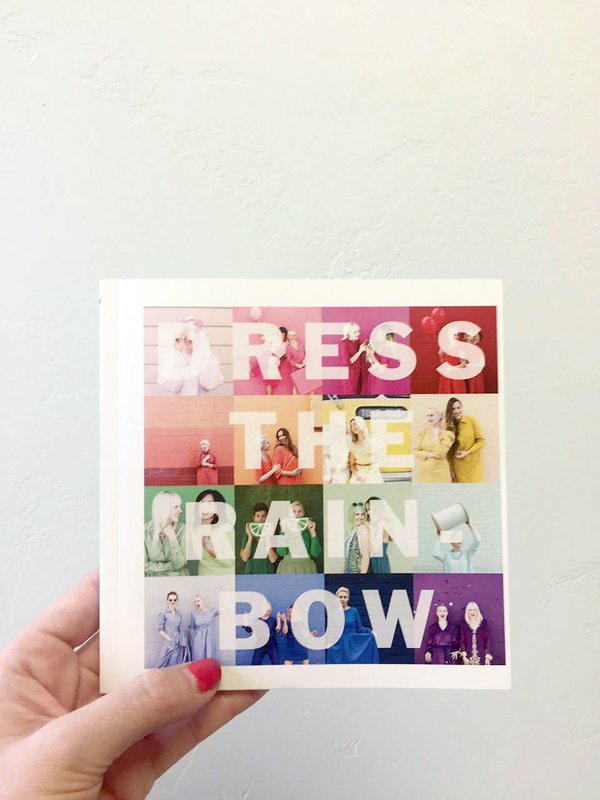 Purchase the Dress the Rainbow book here! 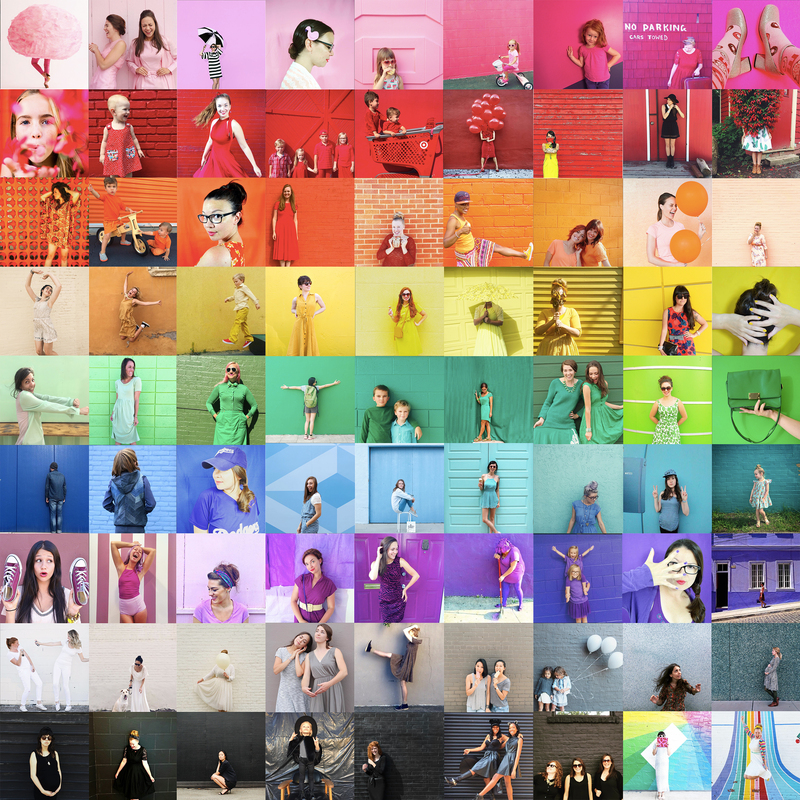 60 days of dressing in every hue of the rainbow can lead to one beautiful long grid and one colorful slide show (press play for a delightful tune!). Thanks for following along on this color exploration! Check out the full Dress the Rainbow shoots here and stay tuned for a fun announcement this upcoming week! Shop the Official Dress the Rainbow shirt!